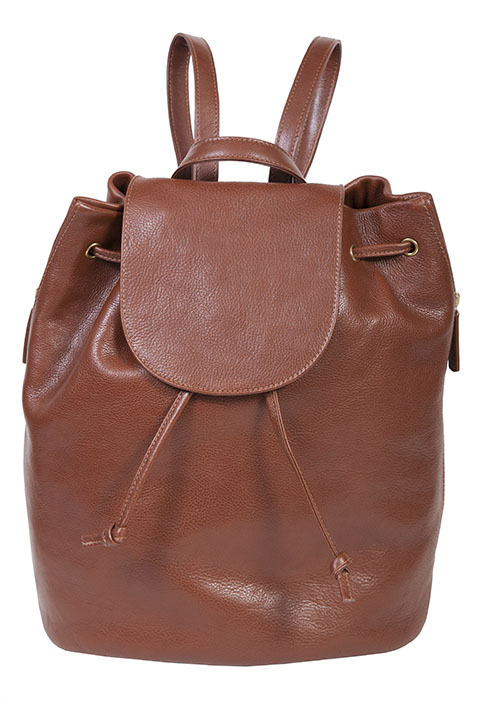 This backpack features a flap closure with a magnetic snap and a cinch leather cord. Exterior side entry zip pockets. Easy carry handle and backpack straps.